Size of this preview: 800 × 449 pixels. Other resolutions: 320 × 179 pixels | 7,432 × 4,168 pixels. Description: Sahara desert from space. 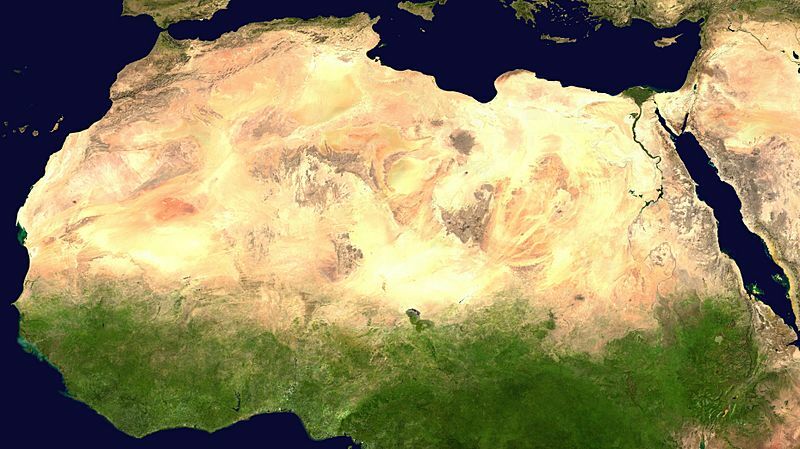 Credit: Cropped from Image:Africa satellite plane.jpg. This page was last modified on 21 April 2017, at 11:10.